What did Reckitt Benckiser want to achieve? The 2013 and 2014 promotions were a thorough success, that’s why Reckitt Benckiser has charged us for two more promotions in 2015 and 2016. 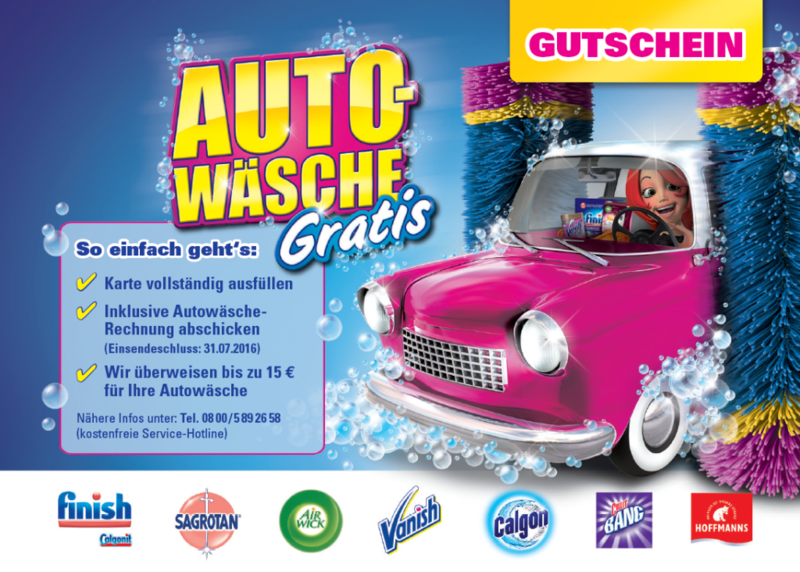 Again the incentive should be associated with cleaning. 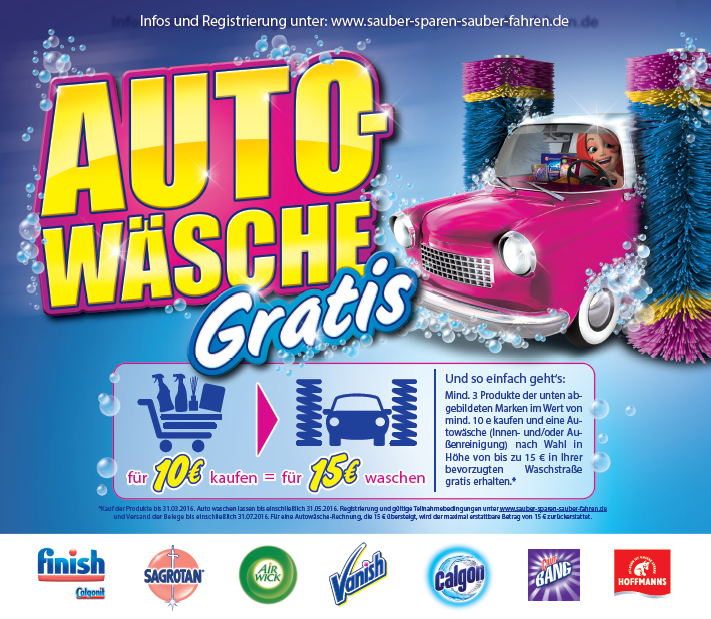 We arranged a promotion that rewarded customers with a free professional car wash. Given away as a cash back, we made it possible that every customer could clean their car at a facility that was most convenient for them.